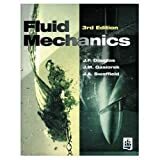 Fluid mechanics / J.F. Douglas, J.M. Gasiorek, and J.A. Swaffield. By: Douglas, John F .
Contributor(s): Gasiorek, Janusz Maria, 1927- | Swaffield, J. A, 1943- .